We stock a wide range of fish foods suitable for all your pond fish, including Koi, Carp, Goldfish, Orfe and many other species. 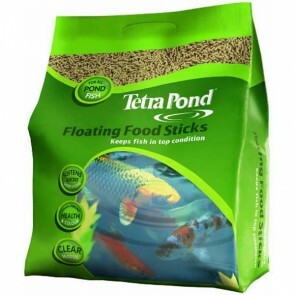 Our range includes pond foods from the leading fish food manufacturers, Tetra Pond, Pettex & Omega, that will provide your fish with a nutritionally balanced diet. The range includes; Pond Flake, Floating Sticks & Pellets,Variety Sticks, Orange Koi Sticks & Wheatgerm Sticks that can be used during the colder months of the year, when temperatures fall below 10C. Please visit the Koi Food Page on this website to view a range of Koi Foods. 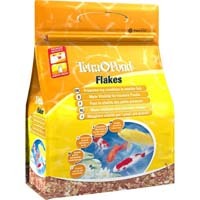 Pond pellets & sticks: 5 stars out of 5 based on 1 user reviews.